The University of San Francisco hosts its 17th Annual Human Rights Film Festival from March 21-23, 2019. In keeping with the social justice mission of USF, the festival seeks to make the university a center for the promotion of human rights, as well as a platform to raise consciousness about abuses worldwide. This year’s films address human rights violations in the U.S., Kenya, Spain, Sri Lanka, Mexico, Tonga, Argentina, Kiribati, Chile, England. 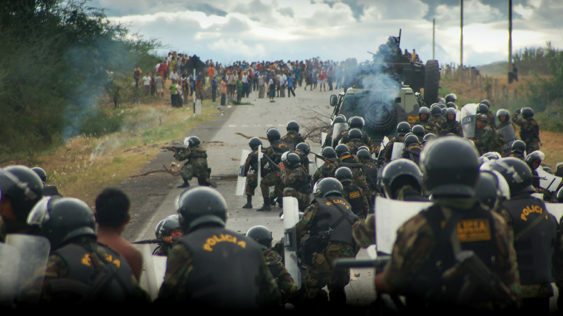 The issues include: political repression, genocide, disappearances, free speech, censorship, environmental destruction, climate change, digital cleaning and corporations’ control of online information, policies abusing economic and social rights, workers’ rights, LGBTQ rights, racism, migrant and farm workers, indigenous rights, migrations, immigration, the prison system, and museums’ colonial plundering.